Overstock is a tech-driven online retailer that provides high-quality items at affordable prices. 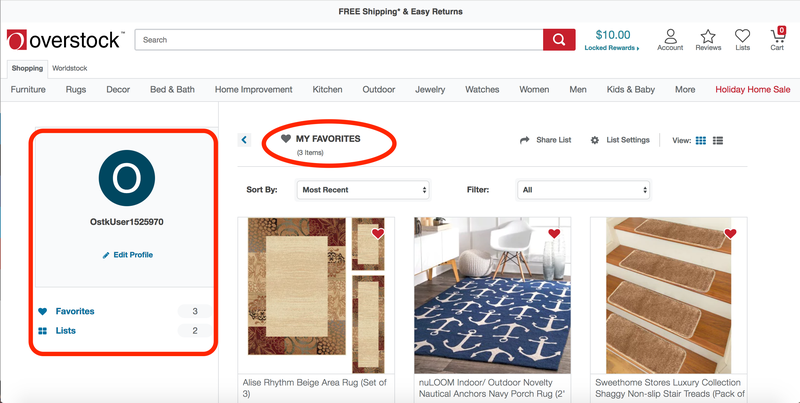 When new users land on Overstock and click on an item that takes their fancy, they're frictionlessly guided through onboarding, from creating a list of favorite items to signing-up for an account. The tooltip explaining how to use lists comes at the perfect timing. 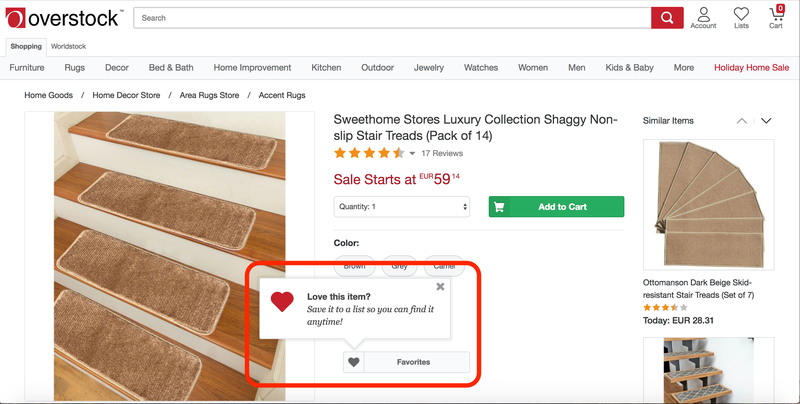 Even though the heart symbol is visible on all items on the site's main browsing window, the tooltip comes only after users click on their first item, indicating interest. The lists feature is useful and doesn't require further commitment from new users. 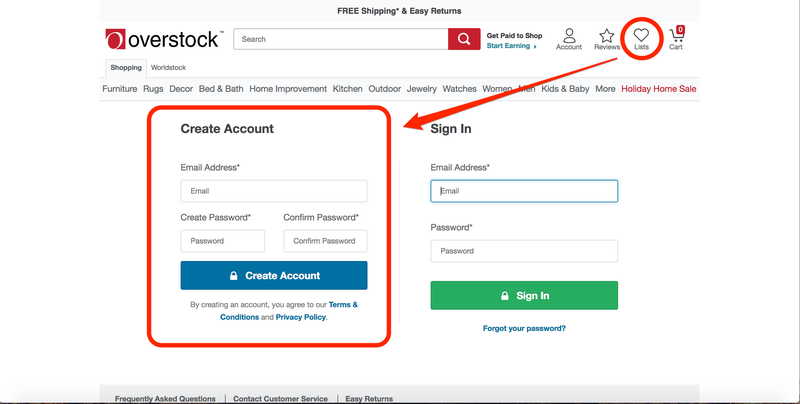 They can add as many items to as many lists as they want without having to interrupt their shopping experience by signing up for an account. When users click the lists icon on the top navigation bar (image 2), they're asked to sign up with their email. Associating their lists with their email address makes sense to users at this point, so they can revisit them later. What's more, the time investment they've dedicated to making their lists makes it more likely that they'll give their email to access them. Users can access their lists right away without giving more personal information. An option to edit their profile (and their automatically generated user number) is available on the left-hand panel of the lists page but not pushed on the users. When users are ready to buy, they provide their personal information for billing and delivery and have their profiles simultaneously completed through that process.